These boot are made for walkin’! The Lugz Flirt Hi Zip easily marries fashion and practicality – just what the active TrailblazerGirl wants. A well-made construction with a sturdy heel and sole, make these mid height boots ideal for your urban explorations, light hiking forays, and travel getaways. Your feet will be comfy with the memory foam insoles and padded tongue and collar. Yes, they were comfy right out of the box – no new-shoe work in time required! Plus, we love the look of lace up boots, but sometimes they are a pain to lace and unlace, but theses babies are a cinch to wear with the convenient and stylish side zipper. They fit true to size and come in Black and Riverstone. 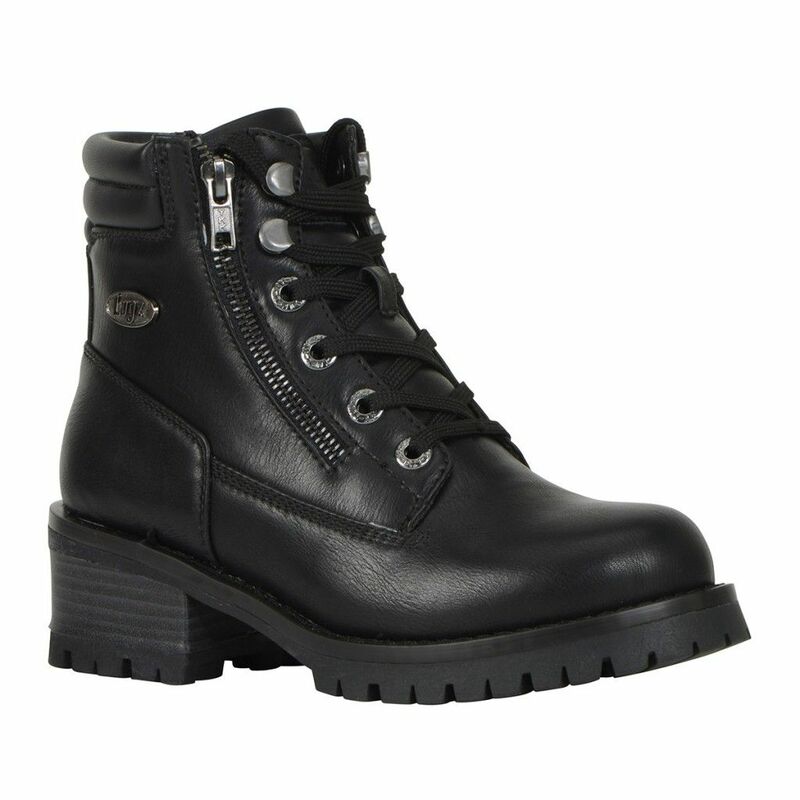 The Lugz Flirt Hi Zip will satisfy your inner fashionista and adventurous sides!